Excellent blog on your kayaking adventure, Leslie. Have you ventured out again? Many thanks for your kind comment and yes – I am “back in the saddle” so to speak. 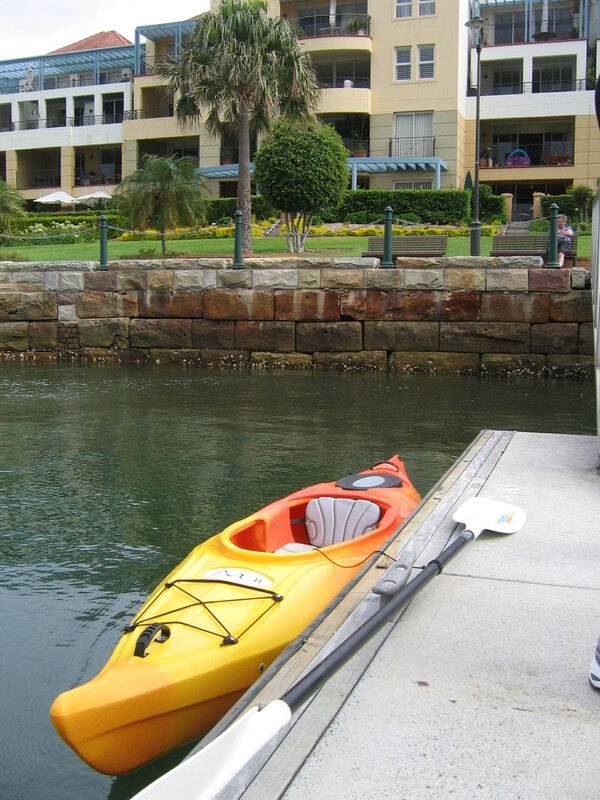 If you observe carefully, you will note an aging, grey-haired kayaker, flailing about the inner harbour on weekends, still creating martime mayhem. As a newly converted kayaker I’m full of sympathy. The cads! I remember this event as I think I was one of the first “foreigners from the North west” to see your fresh wounds (prior to a visit to the amazing Satasia). Maybe the moral to the story is: “theres a time and place for everything” and meditating in your kayak in a cove in Sydney harbour is certainly not the time nor the place! On a positive though, it highlights your toughness and resilience because if a a boat full of rowers cant keep you down, not much will! I do not know whether or not my last comments made it to your place – I am still struggling with the levers of this Blog thing. Anyway – many thanks for your wise counsel, it is sincerely appreciated. And you are right, one should revisit one’s strategy for “intertwining” both soul and Universe, after such an incident. I am committted now to undertaking my meditative moments after “lights out”, when one is safely in one’s bed. No more of this foolishness in practicing this activity, whilst in the main shipping channel between Parramatta and Circular Quay . Watch out more of the consequences of living the “Careless Life”.